Every morning from New Year to Easter this year, a family or tribe of five magpies visited the wild area of land opposite my house. For some general rummaging, rootling, chattering and probably breakfast. 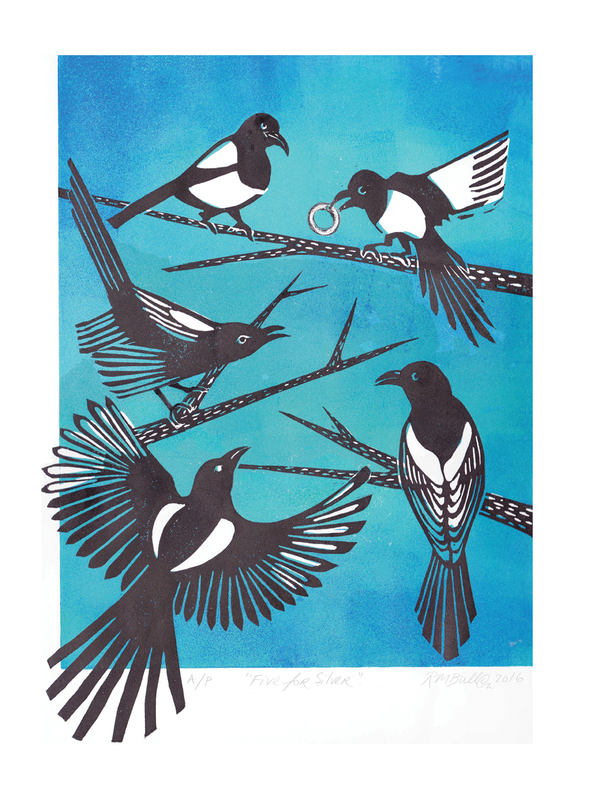 So I thought I would make a print of them and try to capture their sculptural positions and their raucous beauty. I added a ring made from silver leaf for poetic license (if you are missing a ring this is not evidence that can be used in court). It is printed on 150gm white paper, size 41cm x 56cm. The printed area is approx. 30cm x 40cm. It will be posted flat.